As wealth bestows the Brazilian society and poverty makes way to progress, the more than 7,000 km of coastline must not, shall not, and will not be left unused. 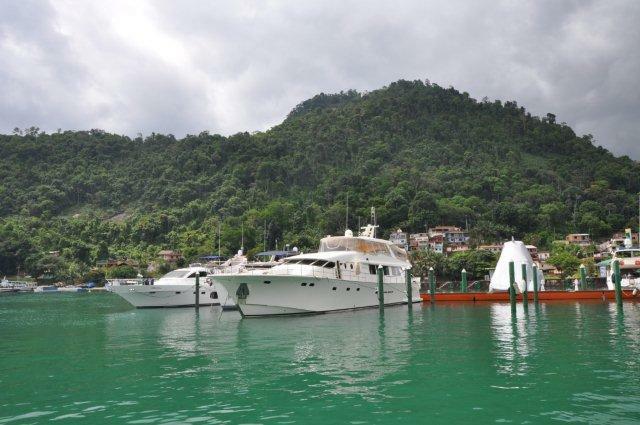 At least, that is a plausible conclusion to why Beneteau, Brunswick, Azimut and Ferretti have just installed themselves in Rio de Janeiro, São Paulo and Santa Catarina, to share a small market that is dominated by a few established brands. The joy that boating can bring to an individual can be a scarce good to be found amongst Brazilians. As an activity, it is still in its embryonic phase as the first timers came only a century ago, when the first Yacht Clubs were founded, exclusively with individual permissions from the president. Through history, the great economic moments of the nation marked the development of the nautical industry and its infrastructure, with marinas only appearing in the beginning of the 70's, at the time when shipbuilding was one of the main economic activities of Brazil. The last milestone would have been the construction of high level resorts, which could house a bigger and more varied part of the nautical value chain, and provide better services. But as the country's economy was at last becoming open and the macro environment becoming turbulent in the 90's, boundaries came with the creation of a national council for the environment, that had little regard to boats and marinas. Now, the country is again at its best with noticeable economic development from the base of the pyramid - poverty went from 30% to 7% in recent years - but a national nautical development is still a question mark. More people have more money, more boats are being manufactured and tourism has only flourished in the last decade. Marinas have since the 90s been able to professionalize themselves and want to expand in numbers and offering, although the law hasn't been changed much. 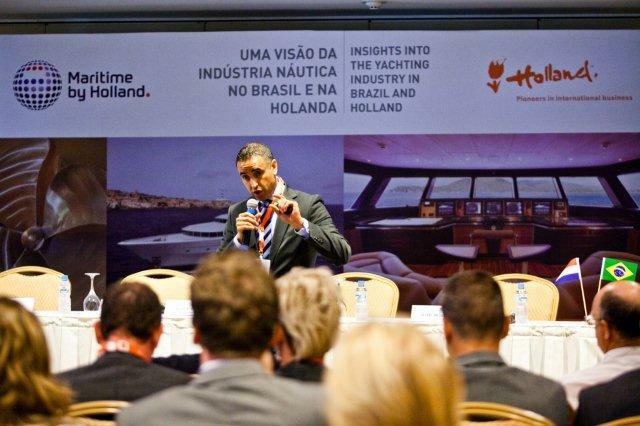 According to ACOBAR (Brazilian Association of Boat Producers and Their Suppliers), the industry has been consistently growing by 15% each year. Last November TRANSFER added a mission for Dutch yacht-builders to its portfolio and was able to see a promising coastline, and many of the people who are betting, hoping and working for a better market. We were able to identify the key players and key tendencies of the market and its influences. We stand by that Brazil is a promising country, which rewards perseverance concluding that companies willing to enter that country should plan years in advance.